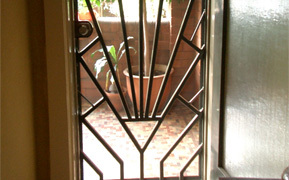 The PLAZA style Art Deco security bar range is based on a classic Art Deco fan motif. 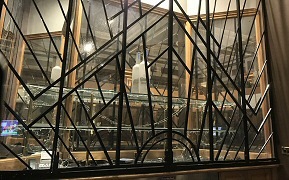 A feature of this design is the total lack of horizontal and vertical lines in the design which eliminates the feeling of being locked in a cage. 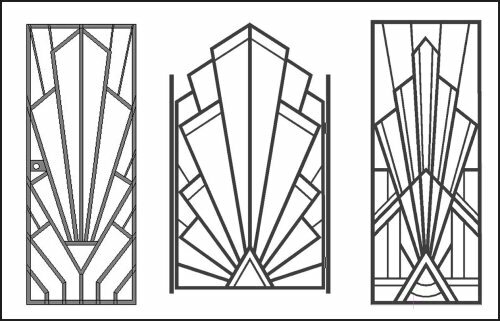 Below are various installations of the PLAZA design which takes it's name from the Plaza Theatre in Lamar, Missouri USA. 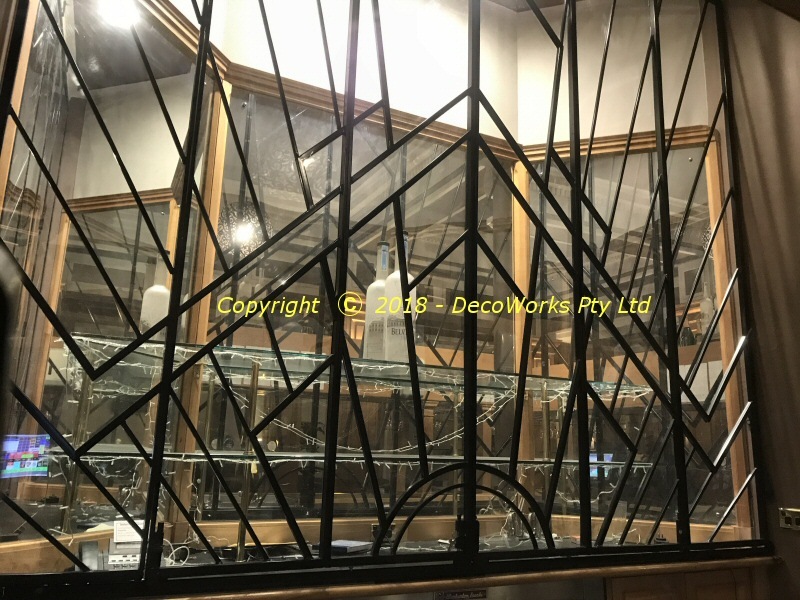 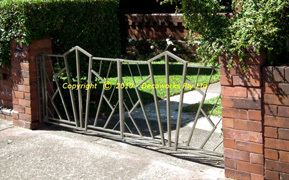 Art Deco style folding security panels for the Reagh Bar in the Sydney CBD. 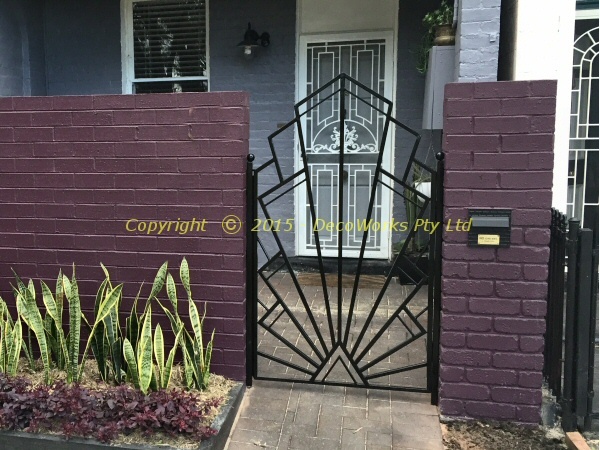 This PLAZA front gate makes a great entrance to this terrace front courtyard. 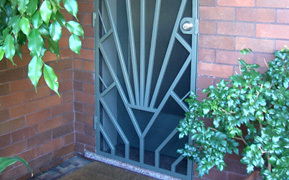 This PLAZA style Art Deco security entrance facade was installed on a townhouse in the Sydney suburb of Darlinghurst. 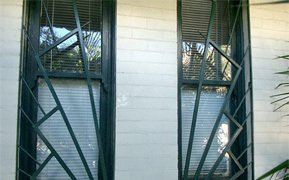 The facade covered the whole front area of the small apartment. 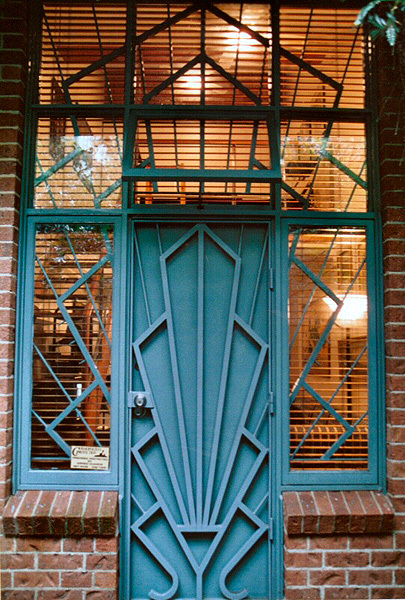 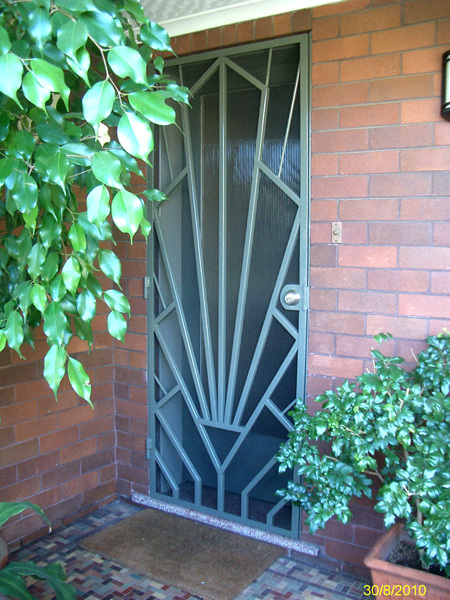 An installation of a PLAZA style Art Deco security door on a semi-detached suburban home in Sydney. 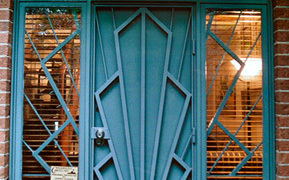 The Plaza design is based on a classic Art Deco fan design. 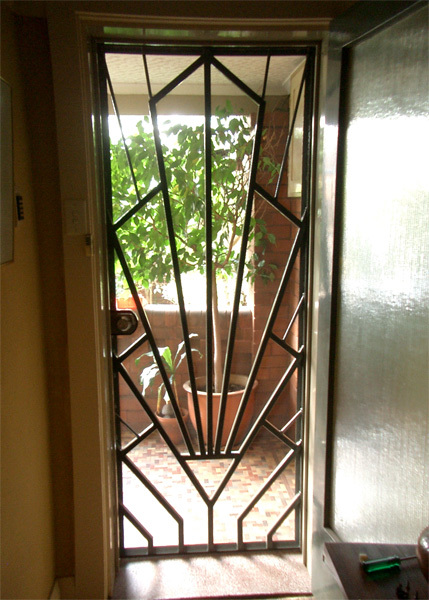 This PLAZA installation has an optional insect screen built into the frame and presents a pleasing silhouette when the front door is open. 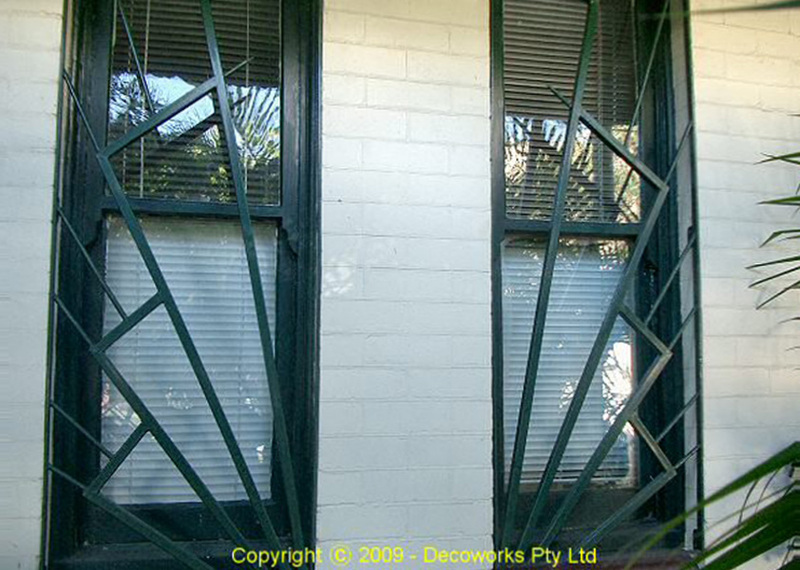 Custom window bars were built by adapting the PLAZA security door design to fit the two front windows of this Sydney terrace. 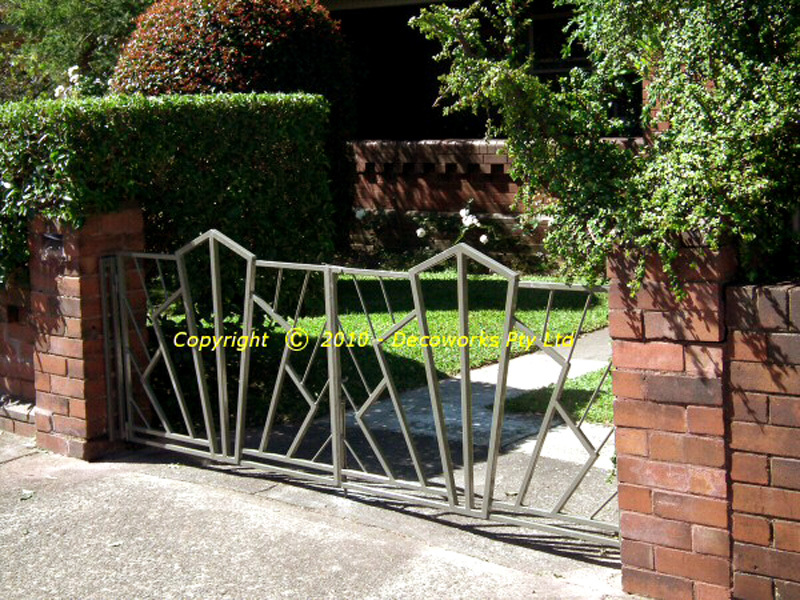 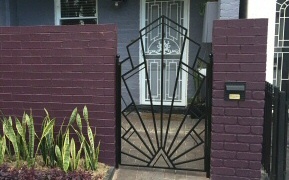 An installation of a set of PLAZA style Art Deco driveway gates.